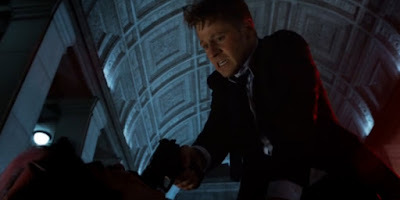 The rogues gallery increased by one on Monday, as Gotham introduced another crazed killer. On 'A Bitter Pill to Swallow', Eduardo Flamingo (Raúl Castillo) and Gordon had a showdown, while Penguin and Edward formed a partnership. Robert Yaniz Jr. at Screen Rant recaps the happenings below.